Choreography execution and perfection is a full year commitment. 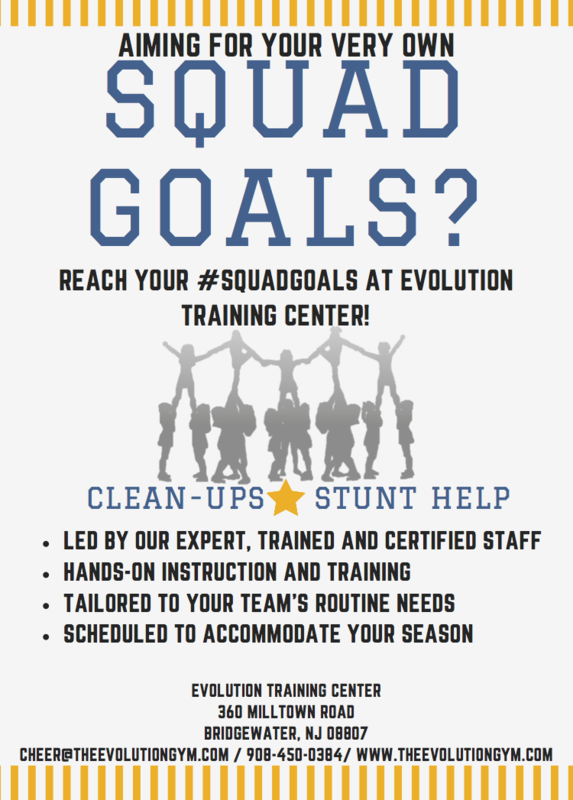 Let Evolution’s trained coaches be your partner on routine development and skill development all season long. Got a pyramid that your kids just can’t seem to hit? Are you getting beat up on tumble timing or transitions? These are some of the many problems that we can solve while bringing polish and execution to your routine. Book your sessions a head of your major competitions or performances or at times throughout the season when you think you’ll need the help most. Clean up pricing is charged per athlete per two-hour session and includes the mat rental fee.